Auctions, both online and traditional, can be a great place to grab a bargain, although, they can also be a great place to lose money. No one wants to lose money, so let’s look at where some people go wrong. Unless you’re a hardened dealer you’ll find there is something about bidding at auction that gets your blood flowing and this rush can also see your cash flowing. Auctioneers know this and work it well, standing above you on the pedestal the auctioneer knows that you are listening to every word, almost as if you were under a spell. Auctioneers will gradually lift their voice and up the tempo throughout the sale to get the bidders blood flowing and build excitement. They know that once the bidders are in a battle that their sense of reason can go out the window and emotions start to come into play. For the bidder the excitement of winning overcomes rationality, and that need to ‘win’ can be further entrenched by the feeling of frustration caused by ‘losing’ a previous bidding battle. Tip – Go to several auctions as an observer, watch the auctioneer, watch the bidders and understand the game that is in play. Going to an auction not knowing what it is exactly that you want is a sure way to give money away. Give it to a charity instead, seriously. More than likely if you just turn up at an auction with a fist full of dollars you’ll walk away with a boot full of junk to collect dust in the garage and an empty wallet. Sure, it’s OK to peruse and browse but don’t pay money for another persons junk. Tip – Be clear to yourself about why you are at the auction, is it for a version of ‘retail therapy’ or to get something you need at a great price? Before going to the auction you should have a sound knowledge about what you are planning to buy. This includes what similar items sell for new, what the item sells for at a dealer and/or their average advertised prices in classified boards. You would also want to gather an understanding on how the condition affects the price of an item and as to whether different specifications affects the price. For example, a green Corvette with an automatic transmission may be worth less that a red Corvette with a manual transmission. Also find out what you can about the item at auction by making use of the preview time and if you can speak to the auctioneer, don’t be afraid to ask questions. Tip – Know why you are bidding and what you are bidding on. It can be enough work just to get a great buy at a genuine auction let alone losing your money in an auction scam. There are many things to watch out for including counterfeit items, online auctions for items that don’t exist or the seller doesn’t own, ‘traveling auctions’ or fly by night auctioneers selling off goods of dubious quality. 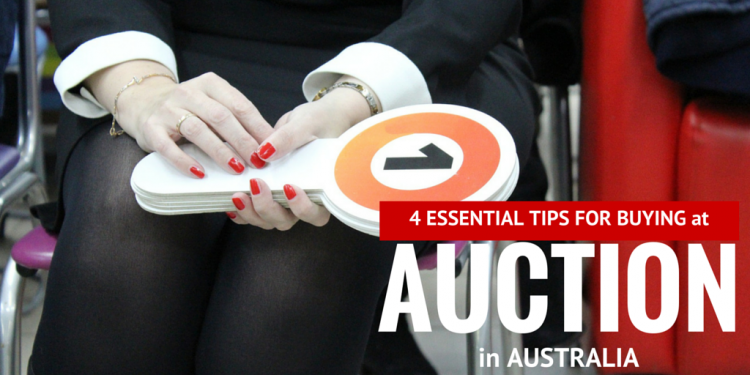 Tip – Check that auctioneers are licensed or for some kind of membership with a reputable governing or industry body. Ask questions and keep asking, seek references, establish credentials. Keep all paperwork. Generally, if it looks to good to be true, it probably is.